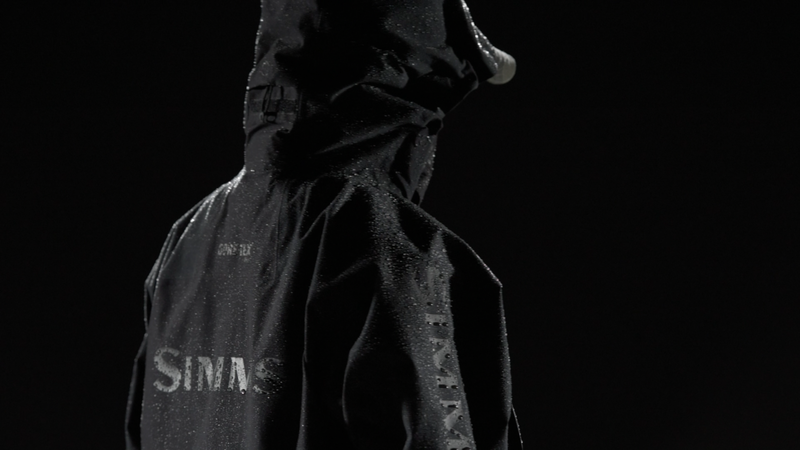 Curtis Graves, Category Manager of Simms Outerwear, Explains How the New ProDry™ Suit Takes Foul Weather Protection to the Next Level. 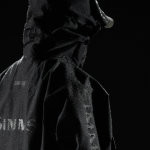 In short order after its initial release, Simms’ ProDry™ Jacket and Bib earned a reputation as being the ultimate foul weather suit. 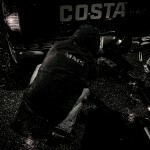 Serious anglers quickly considered the kit a critical piece of gear they couldn’t live without. 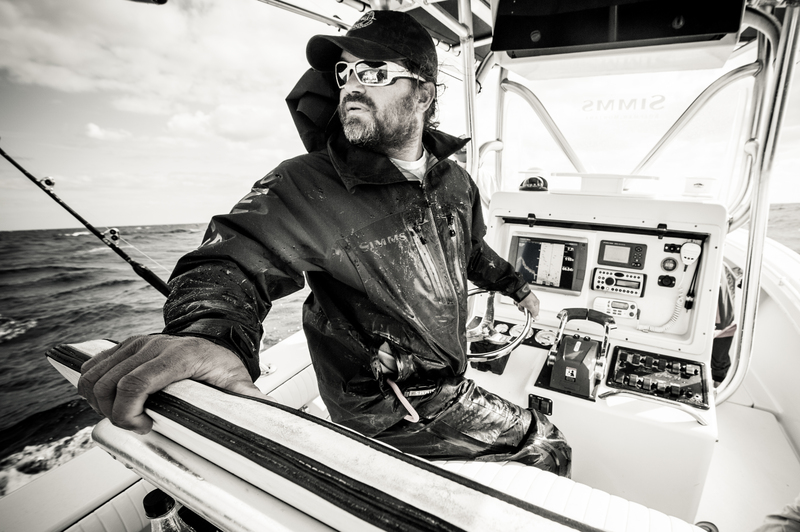 Continually pushing the envelope of technology and performance, in April of 2013, the product team at Simms began looking at ways to take the suit to the next level. 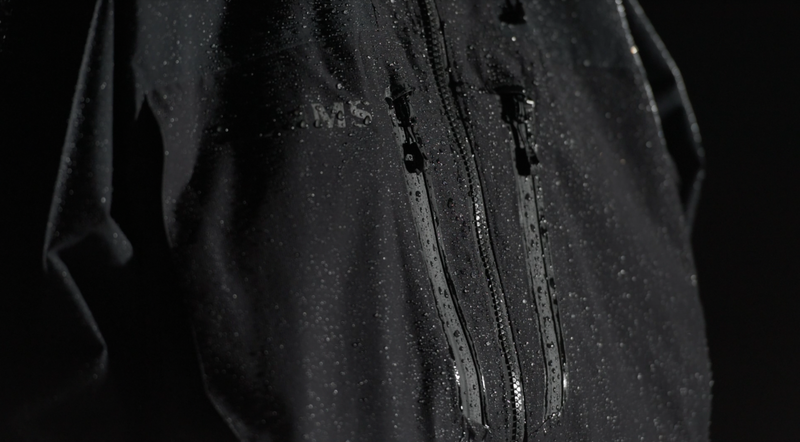 After 2+ years of development, countless hours of field testing in torrential downpours, choppy seas and high winds, the new and improved ProDry™ Jacket and Bib is here. 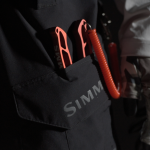 Below, category manager of Outerwear, Curtis Graves explains how Simms managed to make the best even better. Simms: What were the early conversations like when it came to developing a new and improved ProDry™? 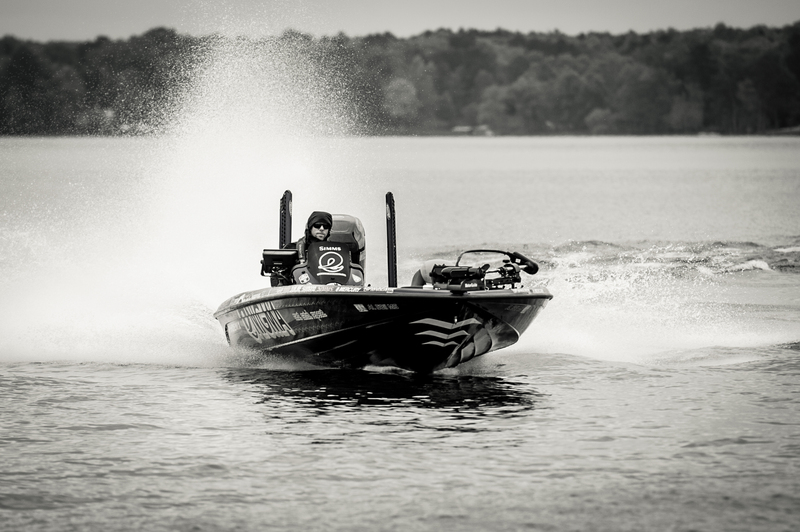 Graves: When the project of revamping the ProDry™ first came about, one of the biggest goals was to remove weight without sacrificing performance or durability. 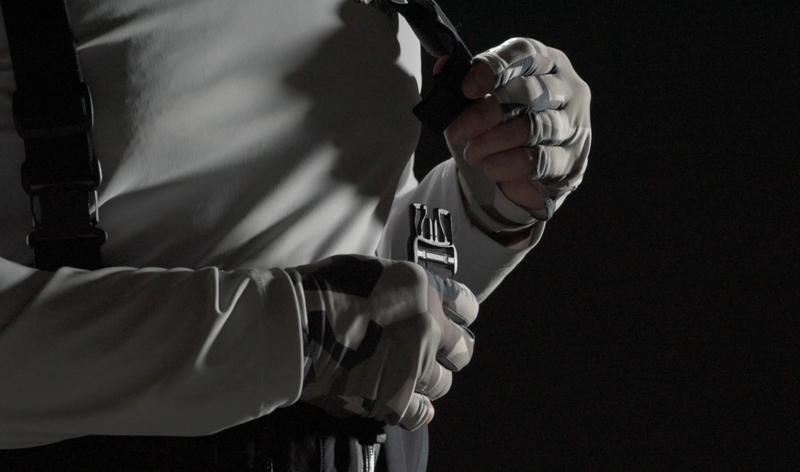 The end result is a suit that’s 25% lighter, 10% more breathable and twice as durable than its predecessor. All of these aspects combined have lead to a much higher level of performance. 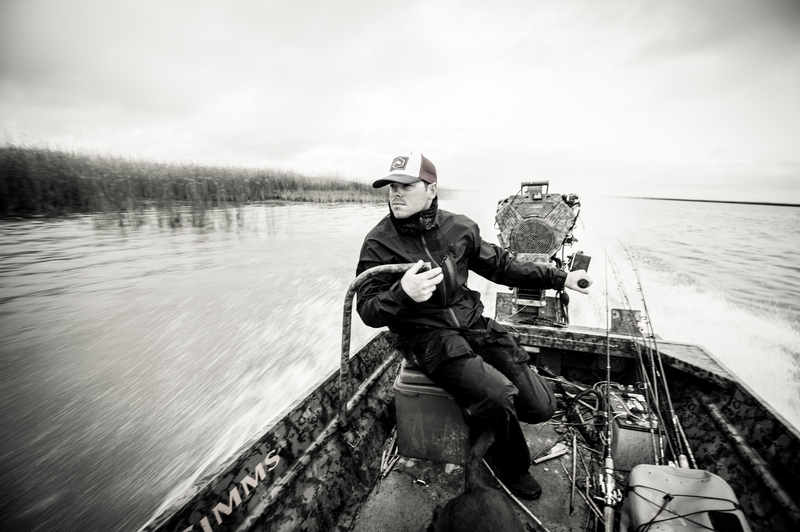 Simms: We’ve had numerous conversations with Simms Pros and Ambassadors about the new ProDry™ suit. When asked for first impressions, all of their answers begin with how light the new suit is. How was that achieved? Graves: Honestly, how light the suit is has a lot to do with the fit. By dialing in the articulation in certain areas of the jacket and bib, we were able to pull a lot of heavy stretch fabric out. With the right articulation, that stretch material wasn’t needed. Simms: You would think by pulling weight out, abrasion resistance would suffer. Can you speak a little bit about how the durability was improved? Graves: Improving the durability of the suit started in the repair center. We looked a lot of old ProDry™ suits and saw a pretty clear pattern of wear zones. We sent these garments back to the R&D center of GORE-TEX® and had them specifically address areas such as the knees, seat, elbows and shoulders. For these areas, we went with a super rugged 70D plain weave nylon and went with a 40D nylon rip-stop throughout the body. 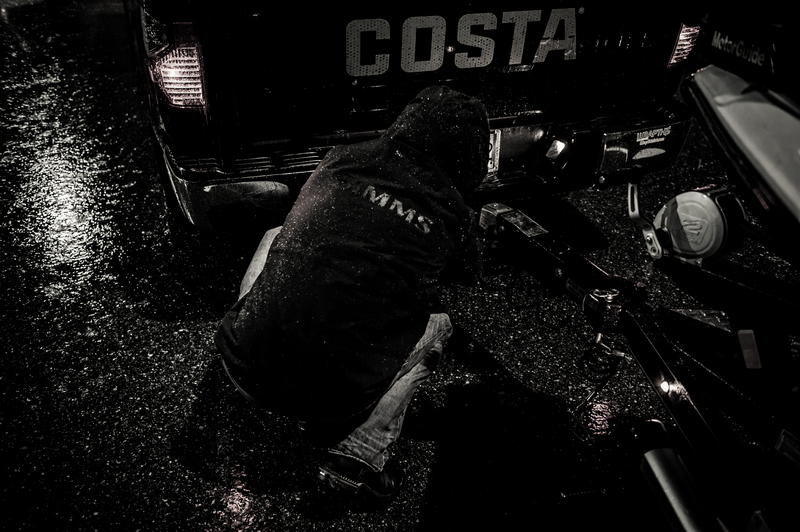 Basically, we used the most rugged Pro Shell fabric we could get our hands on from the GORE-TEX® collection. 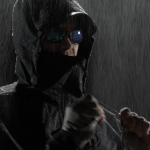 Simms: Tell us a little more about GORE-TEX® Pro Shell? Graves: It’s really GORE’s continual evolution of technology. Using less glue and more membrane, it’s lighter and breathes so much better and works better in humid climates. 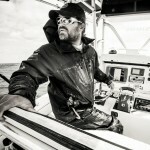 Simms: As a fisherman, what are some of your favorite fishy features of the suit? 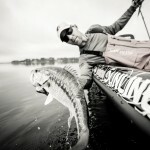 Graves: Honestly, I think one of the fishiest features of the new ProDry™ is the fit. It’s literally designed to be worn on a boat by fishermen, not climbers, hikers, skiers — fishermen. 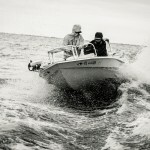 We paid very close attention to how anglers move on the boat. 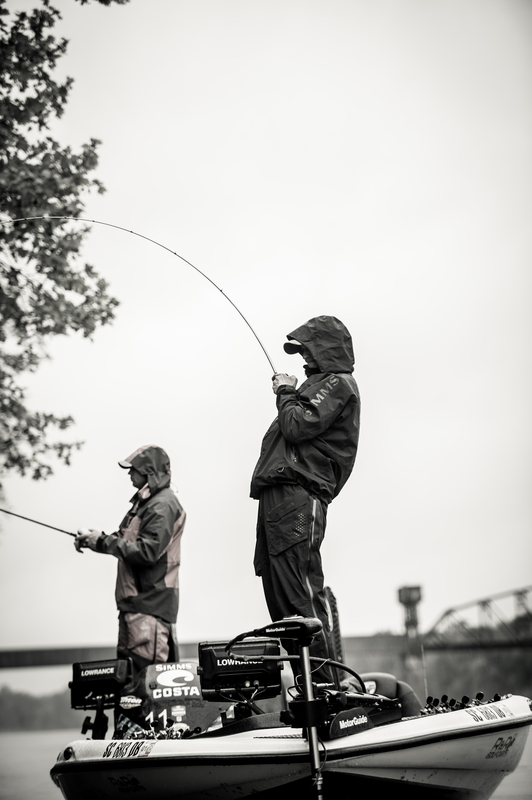 We studied everything from their fishing stance to the cast to fighting fish and designed the suit around it. 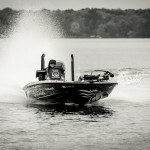 Simms: What about some of the more techy features? Graves: We included a completely catch free Cohaesive™ Cord Lock system which is pretty cool. 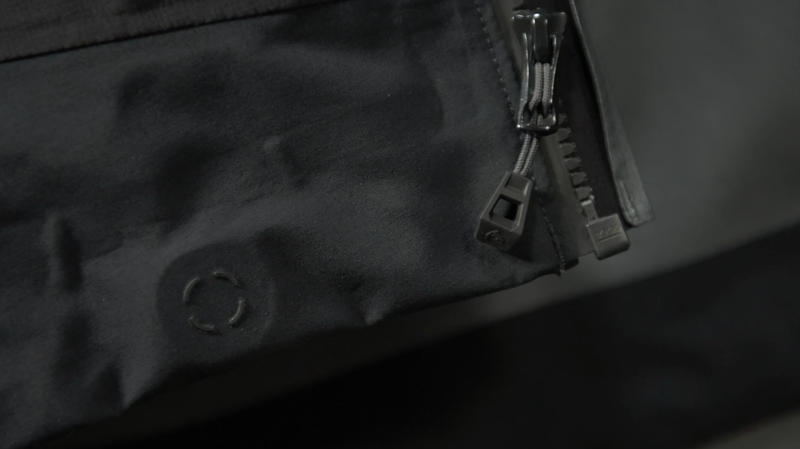 The locking mechanism is built into the suit and not only does it stay completely out of the way, it’s fast and super easy to use. We also addressed sunglass fog in the collar which turned out to be a bit of a surprise. Simms: What do you mean a surprise? 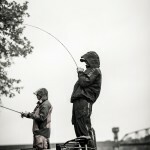 Graves: Obviously, fishermen wear their glasses all day and while the super high collar is a great addition in terms of weather protection, when zipped all the way up, it was fogging out their glasses. So we began experimenting with exhaust ports that would take your moist breath and channel it out through the gills of the jacket. I’ll be honest, it seemed super gimmicky at first but when we tried it, it worked great and is s a feature that will carry through to other Simms products down the line. 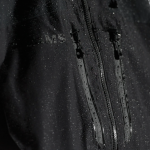 Simms: Besides the outer shell, are their other features that improve the weatherproof aspect of the new ProDry™? Graves: Absolutely. 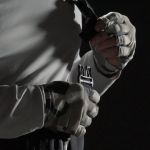 We have the waterproof DryCuff™ which means you can dunk your wrist and you won’t get any water coming in down the sleeve, we have waterproof zippers reinforced with a storm flap, super high collar which I mentioned earlier and a 3-point adjustable storm hood. 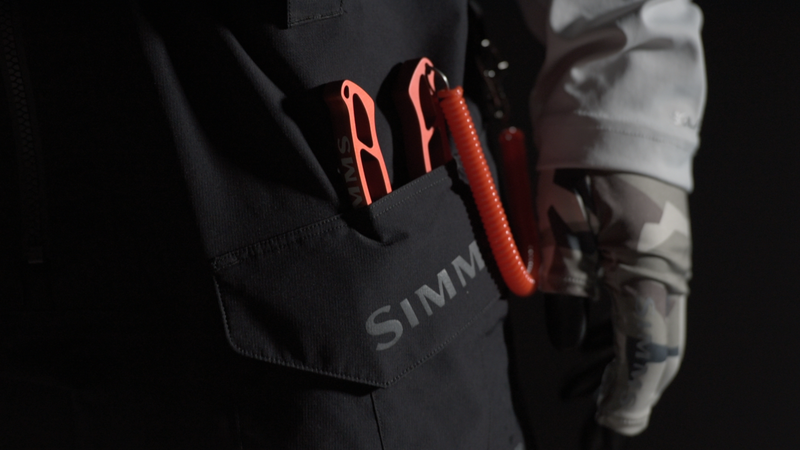 Simms: Can you explain the storm flap behind the zipper? Graves: Sure. 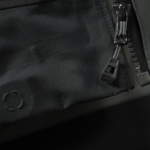 The storm flap is pretty much a second level of weather protection behind the zipper. So, even if you were running full throttle and rain or spray somehow managed to get past the zipper, the storm flap is there. It’s doubled backed on itself so again, if water did somehow get past the zipper, the storm flap blocks that water and channels it out of the suit. Simms: Something else that has come up a lot in our conversations with our pros and ambassadors is that this suit is truly a 12 month suit. 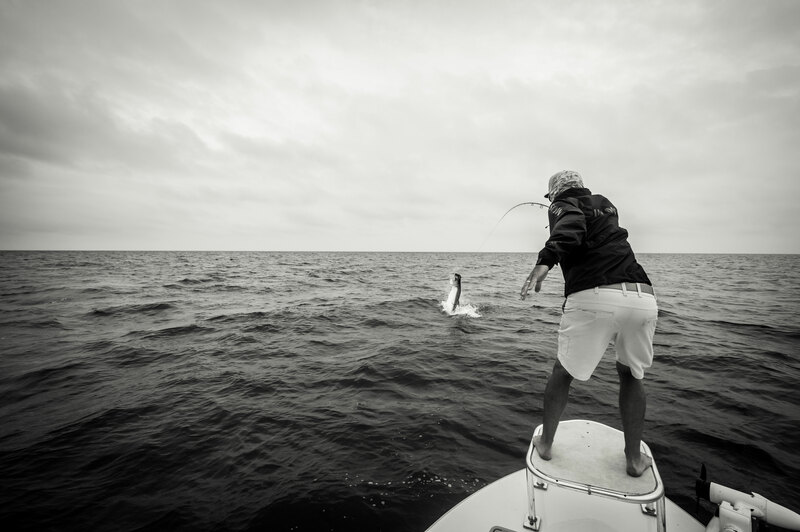 For example, Casey Ashley and Aaron Martens mentioned how important the ProDry™ was for them during the frigid temps of the 2015 Classic while David Mangum and Brett Martina talk about how great the suit has been for rainy tarpon days in the Florida Panhandle. I’m assuming it was designed to be a 12 month suit, right? Graves: Definitely. 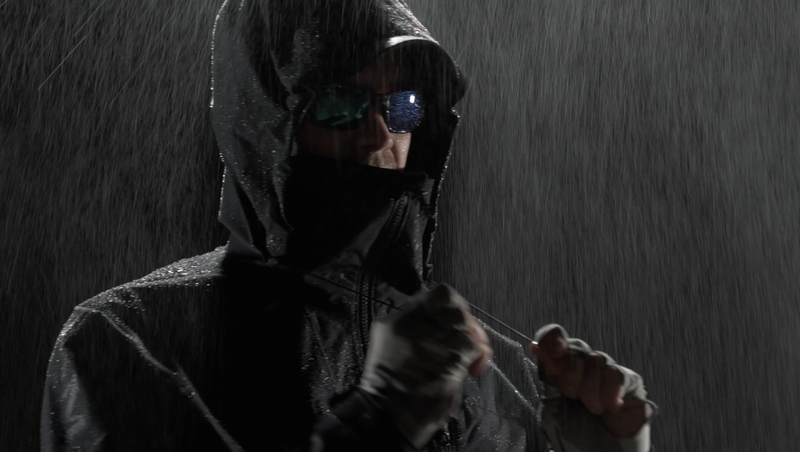 For warm climates, that’s where the new GORE-TEX® Pro Shell and light weight of the suit come into play. 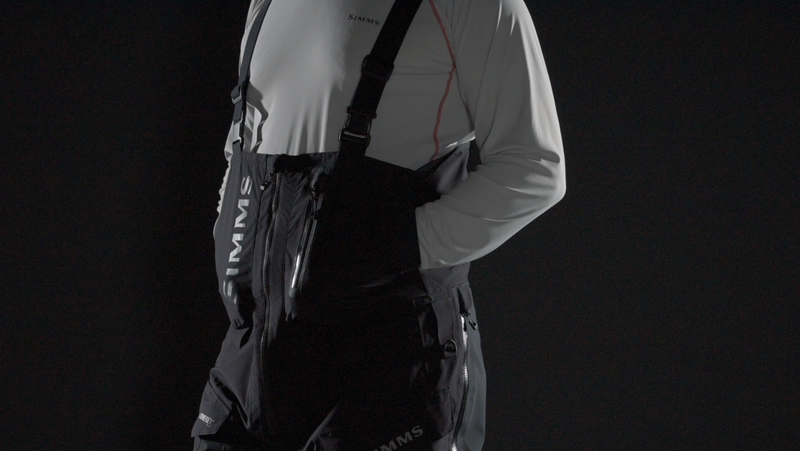 On the other hand, we did a lot of fit testing with Simms layering in mind, specifically, the Kinetic Jacket. 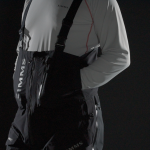 We did a lot of fit testing with the Kinetic underneath but also left a little extra room in the shoulders and other areas for heavier garments such as the ExStream™ Jacket and Pant for those really, really cold days. 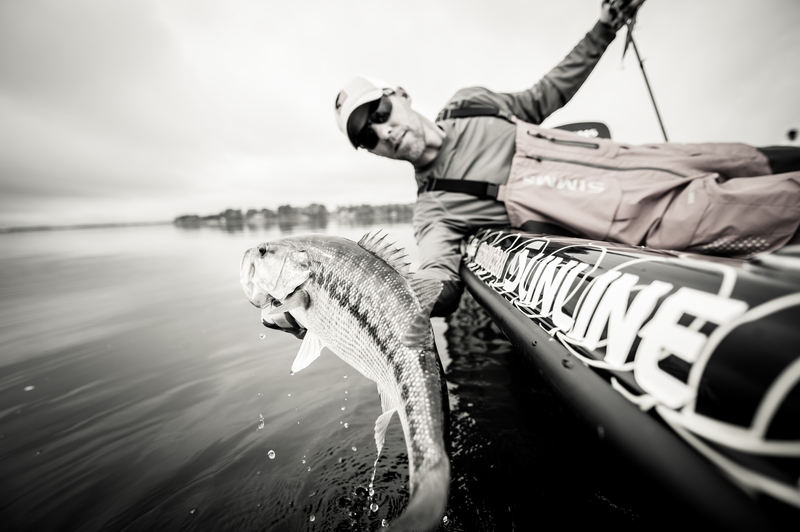 Simms: So the ProDry™ suit seems to have a small stereotype of being a “Bass Suit” however, more and more fly guys and offshore salt water guys are wearing the suit. Was it designed to be a bass suit? Graves: It’s definitely not just a bass suit. It’s a suit for any boat angler. I think the reason the ProDry™ has that connotation is because Simms Pros such as Shaw Grigsby, Gary Klein, Aaron Martens and Ish Monroe had a lot to do with the development of the suit. The way we see it is, pro bass anglers are the most critical and selective when it comes to gear, so if it works for them, it will work for anyone else. The suit was designed for anybody fishing out of a boat. 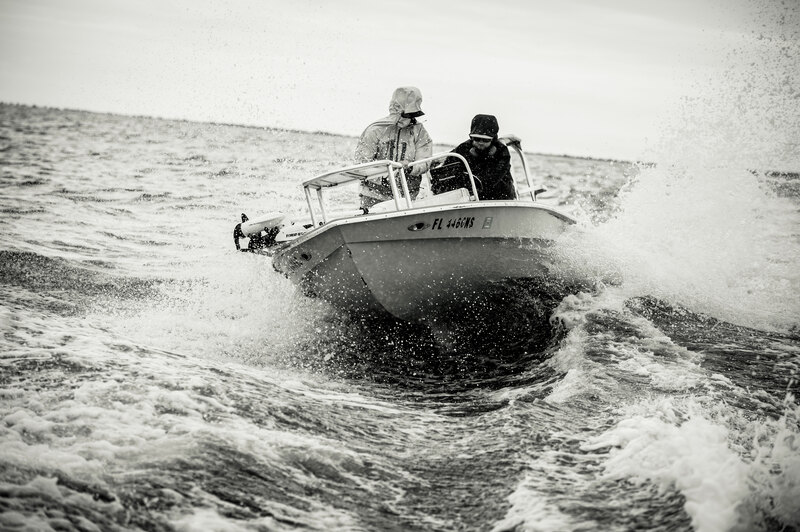 Conventional guys fishing halibut in Alaska, striper junkies in the Northeast, skiff guides in Louisiana, mid-west pike and musky anglers, bass anglers will all find the new ProDry™ is the perfect boat suit. Simms: Can you add anything else on the challenge of improving upon an already super popular product? Graves: Not other than the fact that we as the product team at Simms are our own harshest critics. We have always designed our products for the “Apex Angler” and if we see a way to make something better, we challenge ourselves to make it happen. 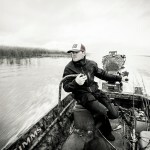 Topic(s) Bass Fishing, Fly Fishing, ProDry, Simms by John Frazier. Bookmark the permalink. I’ve gone through 3 other waders surf fishing in Northern California over the last year. I don’t hit rocks, all or anything of the nature. After each day on the beach I come home wash the waders and hang dry them. 1 pair got a hook in them. 1 Pair leaked at the seams. 1 Pair just started leaking through the fabric. All 3 pairs were supposed to be breathable. 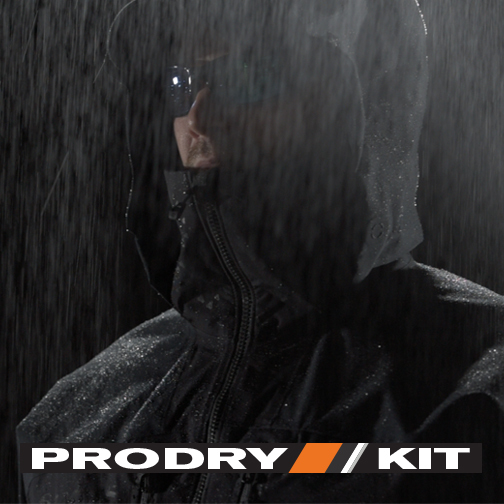 My concern is: Will the new ProDry Wader and Jacket hold up to the rough surf of the Pacific Ocean?